Longevity is a quality every homeowner wants for their roofing system. However, only one roofing material can truly stand the test of time: slate. Why makes slate so far ahead of all other roofing materials when it comes to longevity? Royal Roofing Construction, your trusted roofers, answers this question below. There are three types of slate roofing you can choose from, all of them manufactured to last longer than the average roofing material. These choices include bitumen slate, which is the most cost-efficient choice composed of ground-down slate and synthetic resin. Then there’s the fiber cement slate, a lightweight type of slate material meant for faster installation. 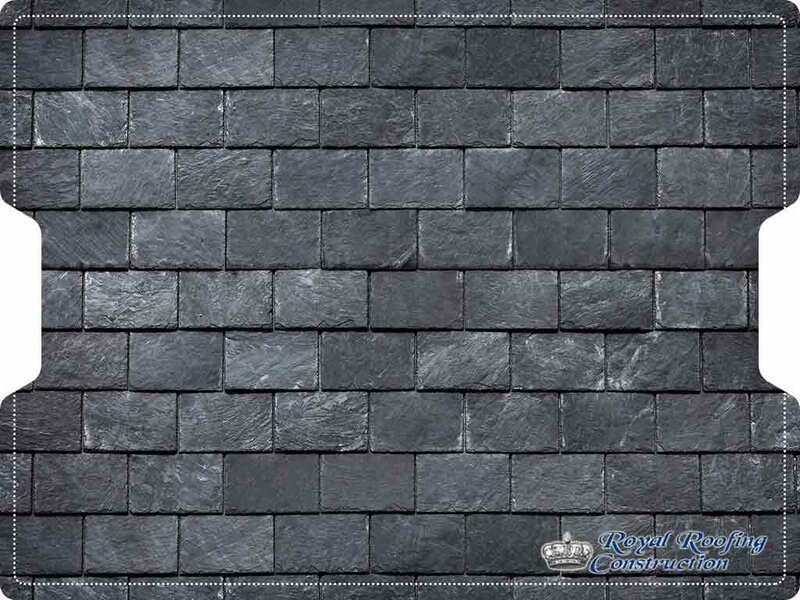 The last type is natural slate, a common material used in new roof construction. You won’t have to worry about sudden tile cracking on your slate roof after a terrible storm because slate roofing is manufactured with the finest protective materials withstand extreme weather for decades. With expert craftsmanship, your slate roof is sure to avoid early failure. Apart from weather protection, the beauty of slate roofs is also long-lasting, and they don’t require demanding upkeep to stay that way. However, you should still practice correct residential roofing maintenance to guarantee everything is in order. Slate is an expensive roofing material, but considering how long slate lasts and the minimal maintenance it requires compared to other roofing materials, it’s a worthwhile investment. Royal Roofing Construction is the place to go for all your roofing needs. We offer unmatched roofing solutions for both commercial and residential roofing systems. We also offer replacement services for gutters and maintenance for different exterior roofing systems. For more information, call us today at (714) 909-0567 or fill out our contact form to request a free project estimate. We proudly serve homeowners in Santa Ana, CA, and other nearby areas.